Founded in 2011, Odysseo by Cavalia, is described as “The Best Show Ever”! This spectacular performance between human and horse definitely lives up to it’s reputation! Over 60 horses and 40 artists perform together in this breathtakingly magestic show of equestrian and acrobatic numbers. The beautiful landscapes that are projected on three of the largest cinema screens such as, the desert and savanna of Africa, the American Southwest, the Northern Lights, an ice cave, verdant fields and Easter Island will leave you in awe of Nature’s beauty. Odysseo is an all-ages show that the entire family will fall in love with! Matinee and evening performances are scheduled until March 1, 2017, so don’t hesitate to book your tickets! Save up to 15% when you purchase select tickets using promo code “SOCIAL“! When I think of a cold Winter’s day…I always envision myself sitting in front of a crackling fire, snuggled up in a warm blanket and wearing the cosiest of clothes. OK, so that’s probably overkill, but you get the idea, right?! 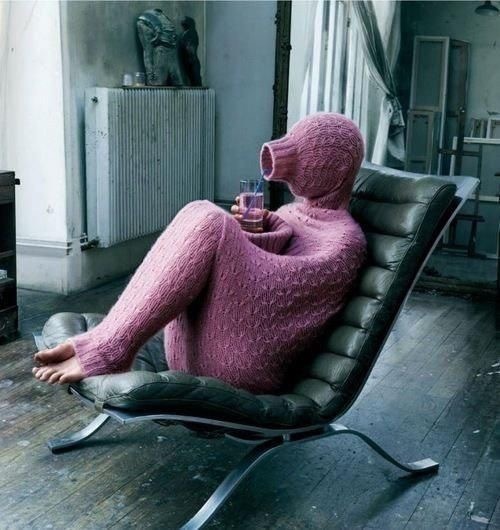 I hate being cold, so the more snugly the clothes, the happier I am. Have you heard of Polar Piece? Polar Piece has an AWESOME assortment of cozy products that you and the whole family will love to snuggle up with! One-piece outfits, hoodies, pants, toques and blankets. Polar Piece was born on a late summer night around a cottage campfire in Collingwood, Ontario. Their goal was to create a garment that was fun and fashionable, but most of all, the comfiest trappings anyone had ever put on. They aimed to create an outfit that could easily be thrown on in those desperate times of much needed rest and relaxation. Utilizing nothing but the highest quality fabrics and manufacturing processes, Polar Piece has always and will always be 100% Made in Canada. No Exceptions. If you’d like to get yourself or someone on your Christmas List some snuggly wuggly Polar Piece gear, enter Promo Code: “RainCityParent” at checkout and receive 20% off all orders! The most magical time of the year is here, and for many families worldwide, the Christmas holiday wouldn’t be complete without personalized video messages from Santa to the kids and kids-at-heart by Portable North Pole (PNP). The No 1 mobile Santa app is considered a cherished, modern tradition with more than 125 million videos viewed worldwide. PNP lets you create and send adorable videos and calls online or with the free mobile app. New this year – a special Reaction Recorder (mobile app only) that lets you capture the moment of joy and surprise when Santa Claus reveals whether your child is on his “naughty” or “nice” list – creating a cherished keepsake for parents. It only takes a few minutes to craft a magical video from Santa that your child, friends and family members will remember forever. Simply visit the PortableNorthPole.com web site or download the mobile app for iOS and Android. Create a video by entering details such as name, age and the gift your loved one is hoping for, and upload favorite pictures. The end result is a richly visual, cinematic video where the iconic Santa Claus himself addresses your child, friends and family members directly from his fairy-tale home in the North Pole. In addition to the Reaction Recorder, the mobile app also offers fun extras for littles, including holiday games to play, like shaking ornaments off a tree, and having Santa’s elves repeat what you say back to you in their endearing voices. of all online sales proceeds to more than 40 children’s hospitals around the world. More than $300,000 has been donated on behalf of PNP’s fans since 2012. PNP can be enjoyed in 180 countries and in six different languages: English, French, German, Italian, Japanese and Spanish. For more information, please visit Portable North Pole at https://www.portablenorthpole.com. PNP has created a special promo code for all Raincity Parent readers to use to save 20% on your purchase of the Magic Pass! Go to www.portablenorthpole.com and register for an account, then to redeem your 20%, go to http://bit.ly/2g1F2RT. 20% will automatically be deducted and you will see the price difference right away! We brave the line-ups every year at the mall, just so the kiddos can have their picture taken with Santa and tell him what they have on their Wish List. He reminds them to be good and hands them a candy cane as they exit stage left. Somehow, this doesn’t seem too personal and that believable. This year, try adding a little more magic to your kiddos Christmas experience. Portable North Pole can do just that! Santa will speak directly to your child, by name, know personal details about them and talk to them about achievements that they’ve had over the past year and maybe help them with some of their struggles. Our kids always look forward to hearing from Santa every Christmas time and seeing what the elves are up to! The kids snuggle up with Daddy and I to watch their special message and I can’t help but get verklempt, every…single…time! I sit there trying to hold back my tears as my “Mommy emotions” get the best of me. PNP – Portable North Pole is one of the most personal Santa experiences in the world. You can easily create customized video or phone messages from Santa Claus for your loved ones, adding information about the recipient and uploading photos for a completely personalized greeting. The high-quality messages make the North Pole village come alive, and you can experience the magic for FREE! You can access the PNP experience online at or via our mobile app (compatible with Apple and Android devices). Premium videos, available for a small fee, are longer and include more personalisation options and storylines. Bundle packages are great for families and an affordable option for those who wish to make more than one video (often selected by parents wishing to make videos for multiple children). The passes also unlock exclusive Christmas Eve video content and allows the video to be downloaded in HD to keep as a souvenir for years to come! In the true spirit of giving, the PNP team has pledged to donate 5% of all web sales to Children’s Hospital foundations across the world. We’ve been given a promo code to share with all the Raincity Parent readers!! Enter BLG20PNP and you will receive 20% off any paid products at checkout! 1)Friends don’t consider us friends any more (I’d hate for this to be true). 2)People just aren’t sending cards out anymore. 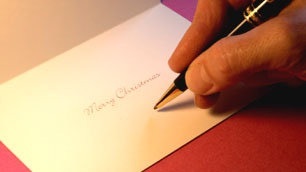 At Christmas time, when I was a little girl, I remember my Mom sitting down at the kitchen table with a stack of Christmas cards and her worn out address book. She would write out her cards for hours and then have to lick, what seemed to be a thousand stamps. Ever since my husband and I started dating, we have sent our friends and family Christmas cards. We would take a trip to the States, usually just after Halloween, and while we were there, we’d scour book stores and card shops to find the perfect cards to reflect our personality. It was becoming a tedious endeavour and the selections just weren’t us. This year, I checked out minted.com. The selection of photo and non-photo cards are amazing! You can personalize your cards with text and images to make them extra special. Each card style can be customized with decorative edging, backing and colour styles. We found the perfect style that reflects us and am looking forward to sending them out! You can even have your envelopes come pre-addressed right from Minted, so all you need to do is stick on your stamps and put them in the mail. That certainly saves time and let’s you get on with more festive activities with the kiddos! This year, all holiday cards are available with matching envelope designs and recipient addressing, FREE for a limited time. Save time and make your holiday card beautiful from the inside out. 2015 holiday card trends: Take it from our community of independent artists—hand-drawn patterns, dark grey with metallic, geometric, and bold color palettes are what’s on-trend for this season. Among this year’s top trends are real foil-pressed holiday cards in gold, silver and rose gold, available exclusively at Minted; also new are photo letterpress holiday cards featuring the luxurious look and feel of letterpress paired with unique inks and neon colors. Minted is known for its high-quality paper and printing. Minted’s Signature paper is thick and luxurious with a creamy cotton texture, and has been optimized for photo printing. You can also choose 100% recycled paper, Pearlescent paper which adds a subtle shimmer, DoubleThick paper or even TripleThick paper. Minted also offers 9 unique die-cut shapes. A variety of backer options allow you to add additional photos, text, and customization options to your holiday card. Love your holiday card so much that you want to make it a permanent fixture of your home? Introducing new Holiday Keepsake Art. Create a gallery wall of holiday memories with a framed keepsake made of this year’s holiday card. Minted’s assortment of stationery, art and home decor is constantly expanding as Minted grows its artist community and hosts ongoing challenges. Get started on creating your own beautiful Christmas cards by clicking on this link! For a limited time, Minted has provided a few PROMO CODES for Raincity Parent readers to take advantage of! Don’t hesitate, they won’t last long!